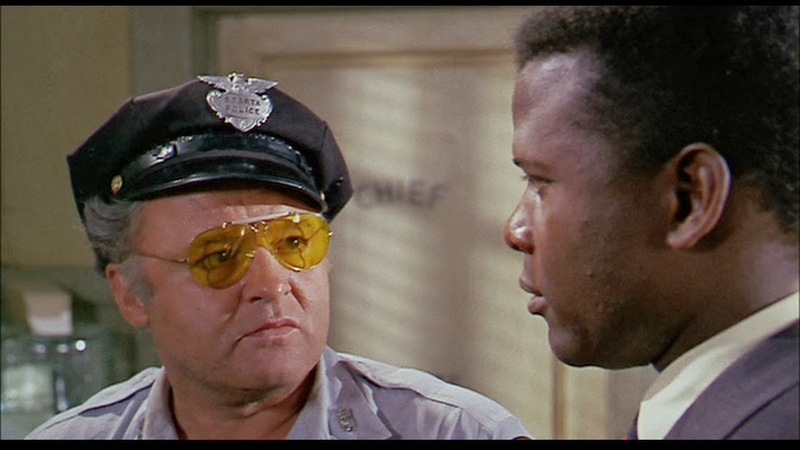 In the Heat of the Night came out in 1967 and won the Oscar for best picture. It's hard to believe that this film competed against other classics Guess Who's Coming To Dinner, Bonnie and Clyde,The Graduate (and oh yeah, Dr. Doolittle). I've seen the clip "They call me Mr. Tibbs." hundred's of times and it was great to see it in context. In fact, this film has a really great rhythm about it that makes it very easy to watch. Many film editors could benefit by putting a semi-involved multi-character story together in this less than two-hour format. The story has a nice complexity, with mild grittiness, but more than anything else while watching it I can't imagine what it would be like to have watched this film in 1967 in the heart of the civil rights movement. The feelings and emotions one might have watching this film in a "live context," had to be so much stronger and moving. Certainly certain parts of the film made different people uncomfortable at different points. Whether it's a intimidating fight scene, the scene with the wealthy man (Larry Gates as Endicott) slaps Virgin Tibbs (Sidney Poitier). The film is obviously a message-oriented film about a nations racial divide, but I think what sticks out to me in a modern viewing is the new stories we hear about exonerated death row inmates and overturned convictions. In the course of this film many people are accused or potentially charged of one single-crime in Sparta, Mississippi. The film shows a dedicated Mr. Tibbs and a police captain who's quick to arrest but also quick to change the charge (Rob Steiger in his Academy Award winning roles as Gillespie). I think police procedural films typically make better TV than films because it's hard to make the film version of something we see all the time on TV seem "special." But this is special, because there is true character arch. A larger arch in Rob Steiger's Gillespie, but a similar arch also is in the character of Virgil Tibbs as well. The film is complex, challenging (more so in the past than in the present), and has a unique feel (I think of the smacking gum of Gillespie, the opening shot of the fly on the dirty calendar, the unique use of music, or some unique minor character twist). Norman Jewison's direction here is fantastic, and I certainly have no complaint even in the midst of the other great films that this film was the Oscar winner. I can't quite figure out how Poitier got left out of the best actor race, but those things sometimes only make sense in the time of the competition and are hard to understand out of the context of the time. 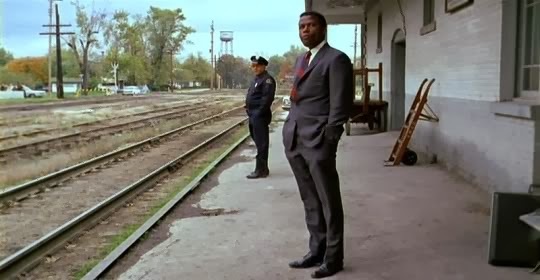 In The Heat of The Night is a win in my book, particularly it's tightly-written story, brave direction, and great performances. I'm really glad I watched this film - motivated by the recommendation of friend via twitter @jdreed after my post What I Haven't Seen On the IMDb top 250 Film List, incidentally at the time of posting the film was ranked 250 and is currently no longer in the top 250 film list just a week or so later. The French make some great films, but when I think of "French cinema" I often have images of snobbery or artistic-sometimes-inaccessible films. 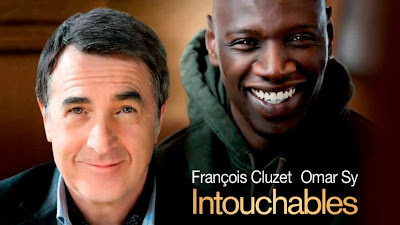 That is not the type of film that The Intouchables is. The film directed by Olivier Nakache and Eric Toledano was released late in 2011 in France and has become one of France's biggest box office successes, won many awards and nominations, and is in general just a big French hit. 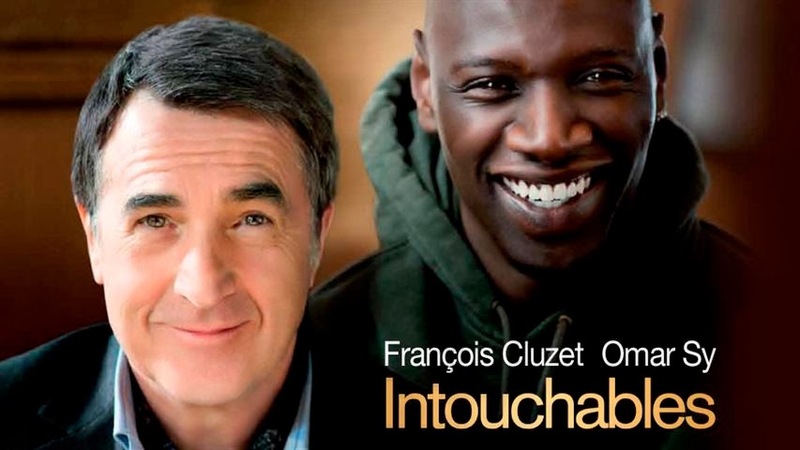 The Intouchables is a comedy drama that seems like many popular American Comedy dramas. In fact, it generally seems very American, and if made in the US would likely have been a success here as well. I mean, the lead actors could have been played by Robert De Niro and Derek Luke, since...well, when I first saw the cover that's who I thought starred in the film. 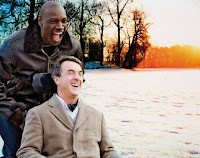 The film, based on a true story, is about a wealthy quadriplegic man in search of a caregiver who hires a young troubled man who interviewed simply to evidence an effort applying for a job so that he could get his government benefit. The film is very comedic, and very heartwarming. One of the things that you'll notice in the pictures selected for this post or any pictures for this film is that the characters are smiling. That's because most of the film they're having fun and learning how to experience life together. 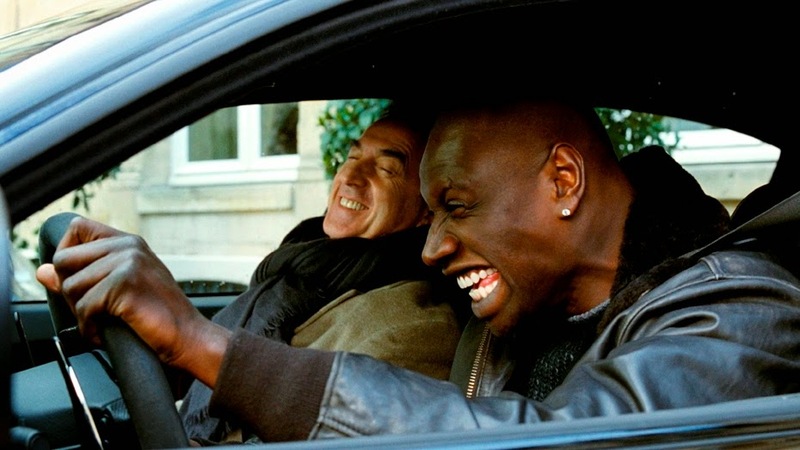 Lead actors François Cluzet and Omar Sy do an incredible job at becoming these interesting and believable characters. 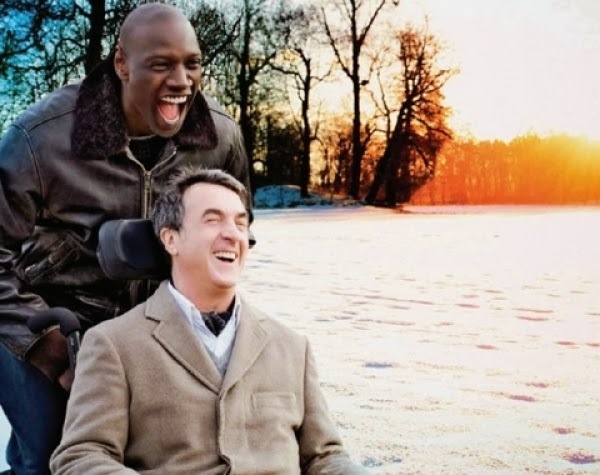 One of the main messages of this film is that the quadriplegic character, Phillipe is still a person who can experience life despite his physical limitations. There's hilarious scenes in the juxtaposition of the two characters who are different in so many ways: life, socioeconomic class, music interest, interest and everything in between. Yet, it's not just a "look I like classical music and you like dance music" type of film (although this scene is very funny), but it's the way that they comedy continues to unroll in new ways through the whole film, in surprising and unsurprising ways such as the opening scene where they fake a need for hospitalization to get out of a traffic ticket. I think this is a really great film, and one that many people could enjoy. It's good to watch a film where people find joy and happiness despite their circumstances and that people who normally wouldn't connect find community together with one another in powerful and meaningful ways. This film is one of the imdb.com top 250 films I recently mentioned I had not seen, glad I have now seen it. 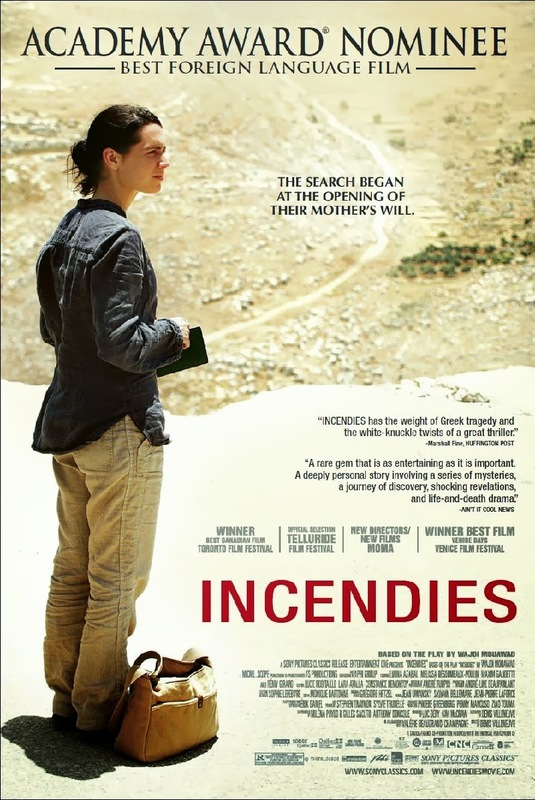 I just watched the movie Incendies - a 2010 film, nominated for an Academy Award film in 2011 for best foreign language film (from Canada, film is in Arabic and French). 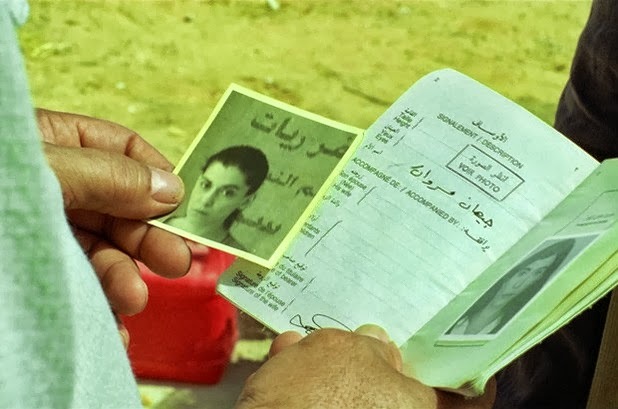 I have so many thoughts on this unique film that takes some unique turns as it tells the story of two young adult children (twins) who are confronted with the truth of their mother's past when she dies - leading them to her homeland in a place resembling Lebanon. Here are some quick spoiler-free thoughts. This is the type of film that you want to talk to someone about after they see. It's also a little off the map for most typical viewers (not a lot of people picking this up at Redbox, if you know what I mean). But the question I have is, who would I recommend it to. The film is smart, heavy, foreign and intense. It's heaviness and intensity doesn't mean it's inappropriate -- they film is pretty sensitive in it's handling of heavy content in the sense that it's not overly profain and doesn't have overly sexed content. Yet for a film set up with a thriller-like format, it's has a heavy feel with heavy themes (like fighting between Christians and Muslims in the Middle East, among other themes). If you want to give something off the map for you a try, and haven't watched this - I recommend you settle in for this film and give it a chance. Director Denis Villenueve did something very special with this film. So I've mentioned, I don't really want to give away any of the plot points, so instead, I figured I would talk about the intro. Here is a clip of the intro which uses Radiohead's song "You and Whose Army?" In a remarkably powerful way. Consider this a preview of the film. A McGuffin is defined as an object or device in a movie or book that serves merely as a trigger for the plot. This film has a mighty good McGuffin that plays out fantastically in the film. Since I'm try not to overly explain the plot so that I don't steal it's unwrapping for you I will share the initial McGuffin (that quickly follows the opening sequence above). An immigrant woman dies. Her long-time boss, a public notary, is administering her will in which she splits her wealth, lays out some strong request in how she wants be buried. Her burial request is very undignified, including no headstone until her children fulfill her last request which is to deliver to letters. Her daughter is to take a letter to her father (a man she doesn't know or know anything about, including his name). Her son is to take a letter to their brother, a brother than neither of the twins know about either. A crazy request, that triggers the quest. And with that it begins, and the powerful film unfolds. Is this film for you? I don't know - but if you're at all intrigued. Get your hand on this film. This film is one of the IMDb.com top 250 films I had not yet seen - so glad to have seen it! 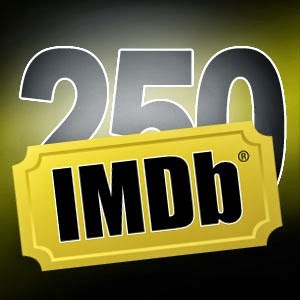 I personally really enjoy the imdb.com top 250 film chart. All that said, it's great because it's current - often capturing "new classics" very quickly. For example, the list currently has two films from 2013, Gravity and Rush. The list quickly captures the potential for these films to become modern favorites. I reviewed the list this morning to see with the current list which ones I haven't seen, and potentially should add to my should watch list. I have seen 188 of the 250 current imbd.com top films. So, here's the 62 films I haven't seen: [A list that could be embarrassing to compile for someone who talks about films - but I don't mind admitting I haven't seen every film - including some current and classic films] What films on my "haven't seen list" would you consider "have to see films?" Tell me in the comments which of these films I have to see, and why - and I will do what I can to make it happen. Note: I will attempt to update the films on this list with links if I watch the films and post about them. 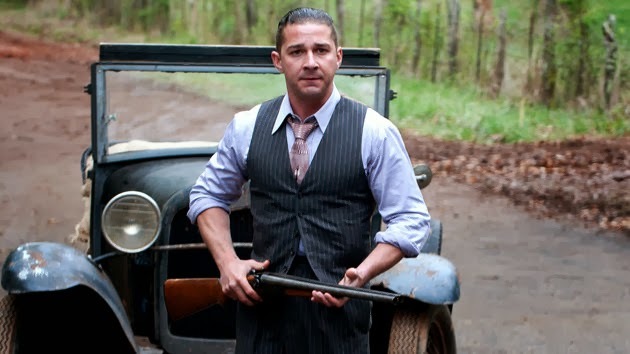 One of the movies of 2012 that sort of peaked my interest was the film Lawless. Well, let me clear...the film peaked my interest when it was called The Wettest County in The World. The film, based on the book The Wettest County in the World by Matthew Bondurant. The book, histroical fiction is written by Bondurant based on stories and photographs of his grandfather and great uncle in Franklin County, Virginia during prohibition. When I read the book I enjoyed it and wrote my observations, and in many ways found myself having some similar reactions to the movie. In a way, the book was too smart, written with too many characters that it was often a little challenging to connect to the plot lines that were being established. Yet the film should have succeeded. It could have overcome these challenges because the characters might be able to keep track of in film, the narrative could be reconstructed to be chronological instead of written in a mixed up order from different perspectives as it was done in the book. 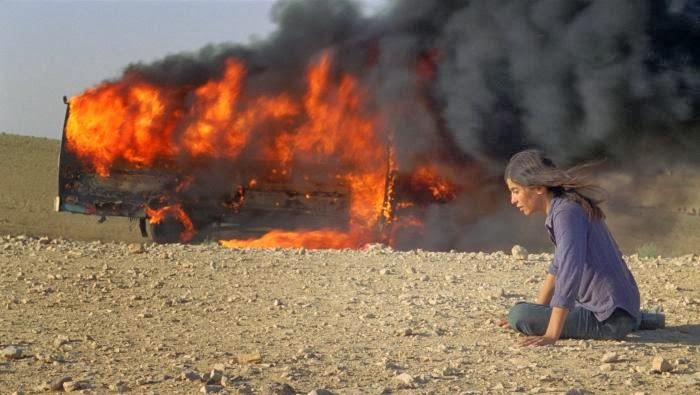 And yet, while the film dealt with the challenges of some of the complexity created by teh book it made a fetal mistake - it never made an effort to give the viewer a reason to connect to the story being told in the film. The film was under such talented craftsmen (notably director John Hillcoat, screenwriter/musician Nick Cave, and editor Dylan Tichenor), and the casting was near perfect. Every character was perfectly cast, couldn't imagine it being done better (A list cast who fit the characters perfectly, including Tom Hardy, Guy Pearce, Jessica Chastain, Shai LeBeouf, Jason Clarke, Mia Wasikowska and Gary Oldman). Yet,what I thought made the book work was the magic of the historical setting and the recreation of something very real and personal to the author. This is something that the film would have of course had a hard time capitalizing on. Similarly, the book created intrigue with it's unique back and forth through time, when the movie logically decided to go with a less scattered narrative. All the same, the film never told you why you cared. Who were you cheering for, and why? What keeps you engaged and watching? What will create resolution? I can appreciate the effort not to create a formula driven plot narrative, but the film did very little to catch the viewer overall into any sort of character or pplot driven goal/challenge. In fact, I have this feeling that many people after watching the film would identify different characters as the main character. This same challenge is in the book as well, but in the book the first person narrative shifts allow you to read the story following many characters. In the film, they would have benefited from a greater focus on a single character, allowing some of the well crafted narrative to slip into the background. So often you watch film adaptations of books and think "but they forgot this main part" or "character arch" and in Lawless you see exactly why book-to-film adaptions leave out some details and character arches. Because here, they are all put into the film, and less would have probably been more. I have a feeling we will see more collaborations of John Hillcoat and Nick Cave. This was there third feature length film collaboration. The previous where Ghost...of the Civil Dead (1988), and The Proposition (2005). 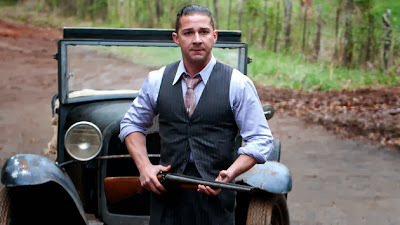 And while I think there work is not dismal it has unfound potential, and in the case of Lawless so much of the problem was on creating a connection between the film and the audience. It wasn't technicality that was missing, but rather emotion. I want this team to try again, because I think they could real make something amazing if they can take all their technical skill and artistry and find a way to speak to their audience. I trully believe Lawless could have (and should have) been great. But instead it missed the mark. There's a lot of me in that. No matter how famous, or no matter how accomplished or how many awards you get, you're always still thinking there's somebody out there who's better than you. I'm often reading a magazine and hearing about someone's new record or seeing something and I think, "Oh, boy, that's gonna be better than me." And it's a very common thing. -- Paul McCartney talking to NPR's Robert Siegel (aired October 15, 2013) about his inspiration behind the song "Alligator" from his album released yesterday called New. The lyrics to the song include the line "Everybody else is busy doing better than me." I don't know exactly why, but I definitely felt the presence of "Columbus Day Today." One of those ways I felt it was when I checked the mail this evening.Nothing...oh yea, Columbus Day. It made me think of all the conversations about the rising price of stamps (potential 49 cents for first class come mid-January, 2014). I'm not a big fan of rising prices of stamps...since there's so many alternatives and it seems like something kind of special (like a birthday card, a paper invitation to a party or even a simple letter in the mail) has an increased cost and other options (eChristmas cards, anyone?) seem more viable. One of the conversations that has come up over the years is whether the US Post Office could benefit from cutting service...say no Saturday mail, or even a mid-week day. I admit, I don't love the idea, but I might be willing to make the sacrifice. That said, cutting service could also open up more opportunities for other private providers who've managed to make mail financially viable...which is important in the world of online retailers. So, it's hard to say where cutting mail service really fits into the picture. Not to mention, I understand the legal policies that surround the mail (for example, laws that allow people to be noticed by first class mail, with a certain assumption of reasonable mailing times). If you ask me, the real problem with the US Postal Service is not Saturday delivery, or even rising prices, but a customer focused business model. I've seen USPS commercials on TV with smiling faces, but I don't see those same faces at the counter...ever. It's like visiting the DMV or Social Security Office more than visiting a business. Yet, if it made sense, I would be okay with less days of service. Although, I think when people would get really itchy about less mail would be around the holidays. Checking the mail has become increasingly important as you time out the receiving of online purchases in the mail, to wrap them up consolidate with other gifts and mail back out again. Some times you need as many days of mail service as you can get. I expect that the conversation of online retailers and brick and mortar retailers comes up again in the news this holiday season. I've heard the rumblings, especially with the announcement of Macy's opening on the evening of Thanksgiving this year. I think it's too bad that Macy's has to do this. I really do. Sure they'll be some backlash, but how much can it really be - we've seen other retailers do it to, and that's too bad too. They claim that they need to compete with the online retailers...although, of course...retailers like Macy's also have online presences, so it doesn't completely make sense. 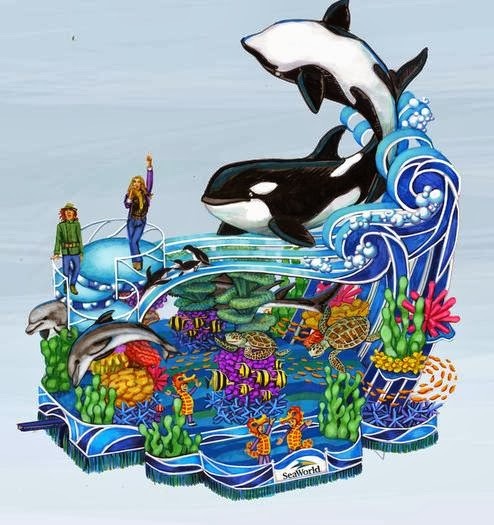 Speaking of Macy's potential controversy, I got an e-mail tonight from the people behind the documentary The Cove with the details of their upcoming media blitz against Macy's. The concern of "The Cove People" is the Macy's Parade new SeaWorld float supports ocean animal captivity. 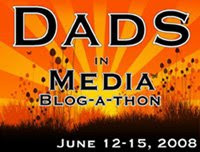 So the social media blitz is to begin shortly. Way to go Macy's for staying out of the bad press zone. Happy Columbus Day, whatever that means to you. The film is The Fifth Estate. The film is directed by Bill Condon. The script is written by Josh Singer based on the books Inside WikiLeaks: My Time with Julian Assange at the World's Most Dangerous Website by Daniel Domscheit-Berg and WikiLeaks: Inside Julian Assange's War on Secrecy by David Leigh and Luke Harding. Julian Assange was born July 3, 1971 in Queensland, Australia. His biological father, John Shipton, met his mother on the way to a Vietnam War demonstration, and broke up before Julian was born. When Julian was one, his mother Christine married theater director Richard Brett Assange. Julian and his mother traveled around Australia regularly, living with family and in part due to the traveling touring company Christine and Richard were a part of. His mother would also remarry, give birth to his half-brother and then try to stay in hiding from his half-brother's father for five years, leading Julian to be moved even more. At the age of 16, Julian began hacking computers under the name Mendax with an "ethical" standard of not crashing systems and not changing information (except to remove tracks). Yet, he did believe in sharing the information. In 1989 Julian Assange was married and had a son, Daniel Assange. They would divorce a few years later and engage in a lengthy custody battle lasting throughout the next decade. Meanwhile, in 1991 when the Australian Federal Police discovered Mendax and connected the user to Assange in a hack on Nortel his phone was tapped and home raided. In 1993 Julian Assange was busy creating one of the first public Internet service providers in Australia. In 1995 Julian Assange plead guilty to 25 charges of hijacking, but the court released him with minimal charges based on Assanges lack of harm and the judge's sympathy of Assange's childhood. While continuing to develop software and free-ware he also helped write Underground: Tales of Hacking, Madness, and Obsession on the Electronic Frontier in 1997 which he was only created as a researcher. In 1999 he registered the domain leaks.com but didn't do anything with it. He started a Bachelor of Science degree at the University of Melbourne in Computer Science which he worked on from 2002-2005, but never finished. In 2006, he launched WikiLeaks, although he prefers to be called an editor as opposed to founder or creator. In 2006 he wrote blog post outlining the values of leaking information of secretive and unjust organizations, but by 2010 had released numerous classified and non-public documents. Assange became prominent in the news specifically in November 2010 when Assange began releasing 251,000 American diplomatic cables. In December of 2010 the Department of Justice began investigations including subpoenas to those who might have information, including Twitter. Also at this time Assange's financial accounts were frozen. Assange sold publishing writes of his autobiography in order to get cash during this time. As the investigation continued, additional allegations came forward of sexual assault earlier in the year in Sweden. Assange would eventually arrange for political asylum in Ecuador where he currently resides. 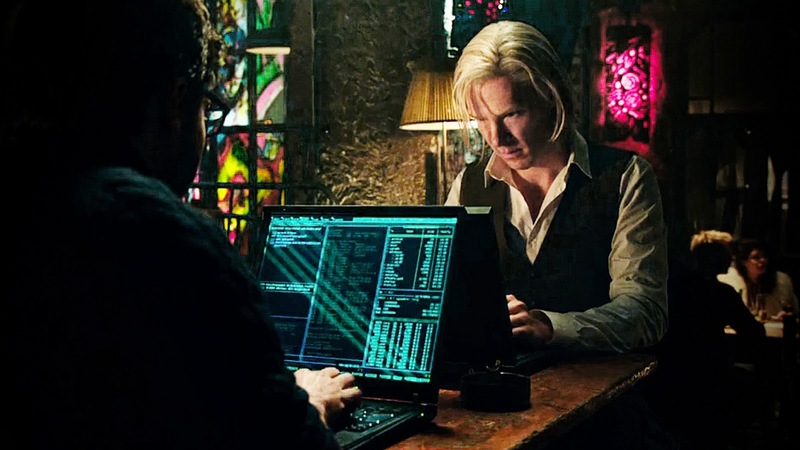 The film The Fifth Estate tells the story of WikiLeaks and Assange's involvement. In addition to Benedict Cumberbatch playing Assange, the film also stars Daniel Brühl as German activist and WikiLeaks spokesman Daniel Domscheit-Berg, David Thewlis as reporter Nick Davies, as well as Stanley Tucci, Laura Linney, and Anthony Mackie. Could Benedict Cumberbatch in this modern-biopic receive an Oscar nomination, maybe even a win, for portraying this Real (Reel) Person? This past week my wife and I took a road trip to celebrate my wife's birthday, and our road trip included a trip to the Grand Canyon this past Saturday. We had planned out our trip for awhile and had the plan down to a science maximizing every minute, especially since there was a fair amount of driving involved with our trip. My wife and I have actually hit a variety of state and national parks this year, without intentionally trying. Regretting that we didn't buy an annual pass early in the year for all of our park trips. Incidentally, as we got close to the trip we discovered that our day at the Grand Canyon would actually be free...in celebration of Public Lands Day. So this past Saturday, we explored the Grand Canyon all day, primarily along the South Rim trail. It was an amazing once in a lifetime experience. The park was full with a variety of guest from all over the world. I joked with my wife, "The Grand Canyon is like the Disneyland of National Parks." The park was full of tourist from all over the world. There was a fantastic bus system to get you all along some different parts of the canyon. Yet it's crazy to think that today...three days later, the park is closed. In fact, you can't even access the parks website. Being there on Saturday and it closed on Tuesday is remarkable to me. I know the impact is far more than a tourist impact, but this is something that makes the shutdown very real to me. I think about other National Parks I've enjoyed even this year such as Muir Woods and Alcatraz Island. Go to their websites today and the Department of the Interior will inform you that the websites are not operational. I think of people on vacation in Washington DC right now, how disappointing for their vacation when so many of the key sites to be shut down. I think about trips to Yellowstone, the Everglades, or the Statue of Liberty. I know that for many people the real cost of the shutdown, depending on the length of time could be far more significant than a missed opportunity at a fantastic tourist destination. But the whole thing is might incredible to me to think about. I typically have the perspective that the government is too big, but I also think that these dramatic start and stops don't really handle the problem. I think we know that someday soon the Grand Canyon, the Smithsonians, and yes...even the IRS will open their doors sooner than later. And I feel bad for people impacted by this. I think of Susan our super friendly bus driver at the Grand Canyon, or the nice lady at the Hermit's Rest gift show. I think of the park rangers at Alcatraz who unlocked a hallway for us to explore when the tour we were to attend got canceled. And there's also that part of me who's not sure whether different friends/acquaintances of mine might be impacted. I am tempted to ask. Tempted to send a text or call. Yet, it seems inappropriate. It's just day one and I'm sure it's crazy for people who are furloughed, but asking around right now just seems like gossip. Yet, I admit. I have a fascination with what is and is not impacted. There's certain government agencies I interact with at work who I was surprised (and not surprised) that were exempt for various reasons. Some of it seems almost random, and it's hard to tell who in the end will be hurt by the shutdown, especially since it's so hard to tell if this will be something resolved in days or weeks.